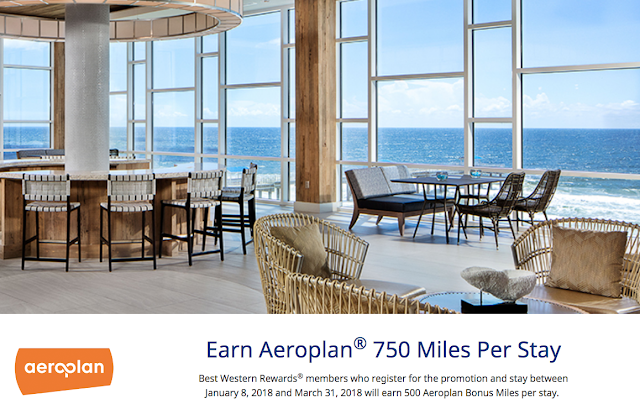 One thing you can almost always count on from Aeroplan is the ability to earn more than just base miles for hotel stays. Earlier we brought you the Aeroplan IHG offer and now we have this one for Best Western stays. The offer isn't as rich as we saw through most of 2017 but at least it is something! This is always a good option for those one off stays you might have where it wouldn't be worth it to credit the stay to Best Western Rewards.